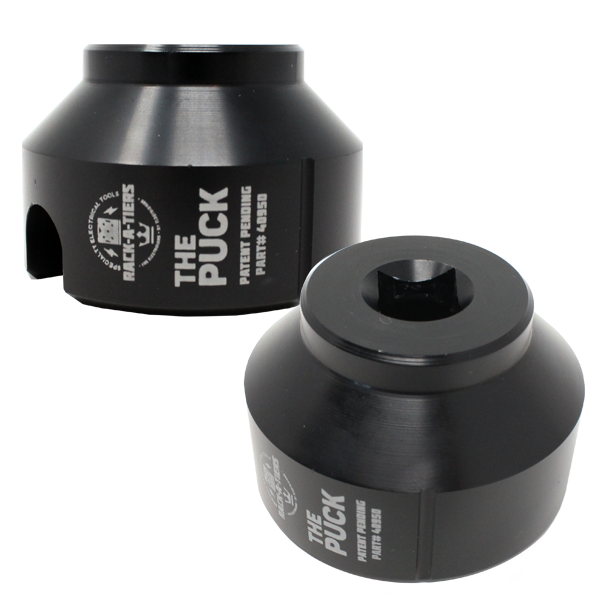 The Puck – Ground Clamp Socket – Rack-A-Tiers Mfg. 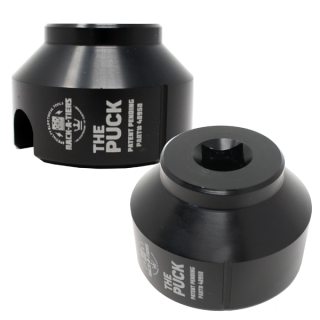 A New Solution for Installing Ground Clamps! Grounding clamps are used to ensure complete discharge of electricity while servicing or maintenance of electrical power systems in substations. 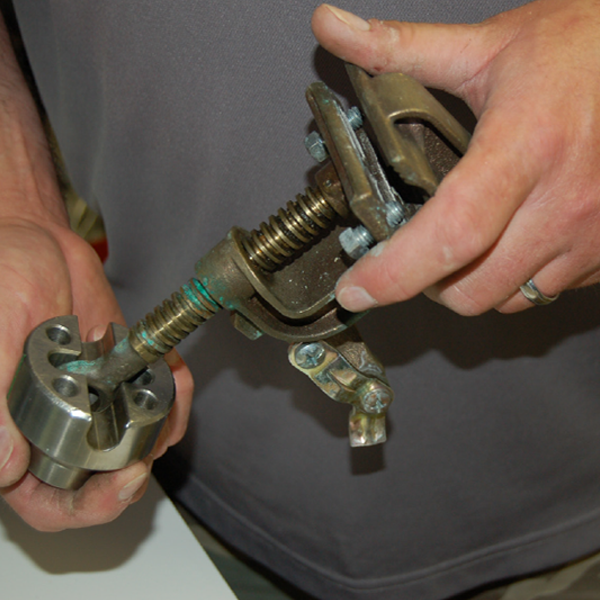 There are many varieties of clamps manufactured by different companies, each with different fastening configurations such as an eye-bolt or a T-handle. 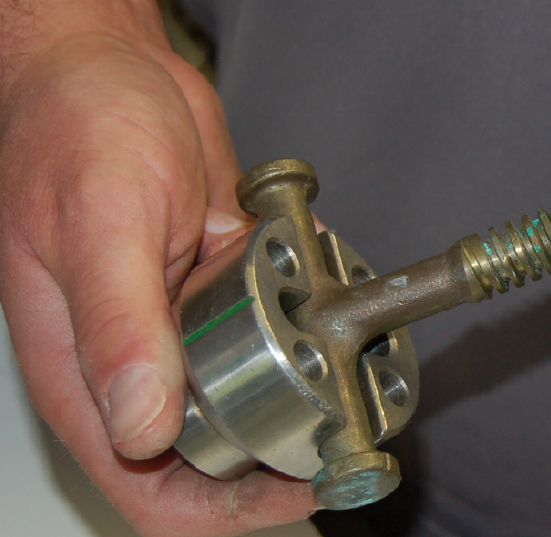 Technicians use screwdrivers or channel lock pliers to tighten the grounding clamps. This sometimes produces a poor contact on the bus because of lack of accessibility. 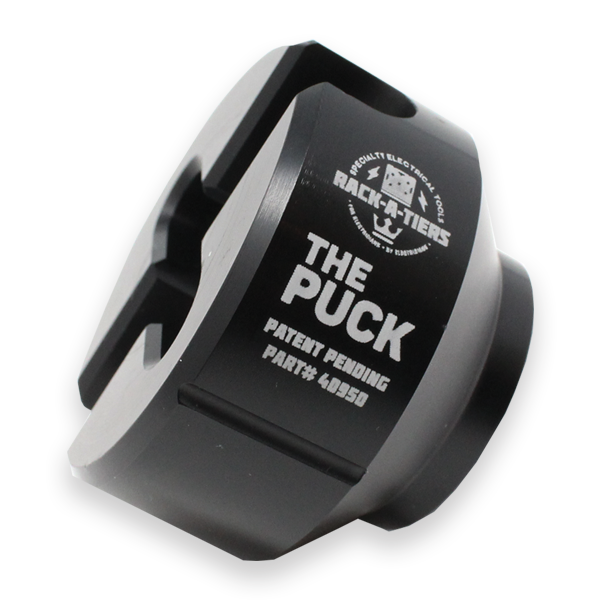 The Puck, when used with a standard 1/2 inch drive socket, provides the proper leverage in limited visibility or access areas, ensuring a proper contact on the bus.